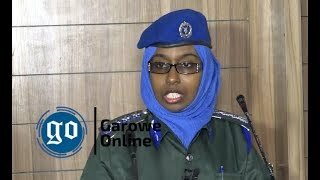 MOGADISHU, Somalia - The Commander of Somali National Army [SNA], General Abdiweli Jama Gorod said he wrote a letter allowing UAE to bring the cash seized at Mogadishu airport last Sunday, Garowe Online reports. 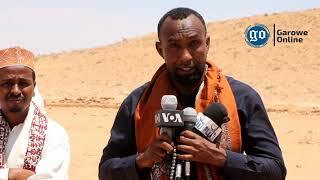 Speaking to VOA Somali Service, Gorod said he did not declare the amount of the money in his letter addressed to Mogadishu Airport manager on April 8 ahead of the arrival of the plane from the UAE. He added that the United Arab Emirates has been bringing same cash to the country as part of its efforts to pay salaries of the soldiers it trained for Somali Federal government and some of the Federal Member states. "My predecessors used to write such letter requesting airport authorities to allow UAE officials bring the cash intended to support the Somali armed forces to Mogadishu. I didn’t know the amount as usual," he added. The SNA chief stated he does not know the reason behind the investigation into bags containing the cash that arrived on a plane at Aden Abdulle International airport and why the UAE officials' refusal of the scanning. "I really cannot understand the scanning of the money at this time as it used to arrive in the country before. 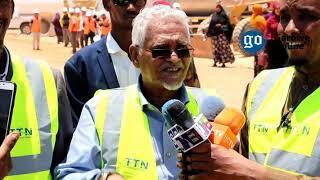 This needs to be categorically investigated and reviewed," said SNA commander-in-chief. 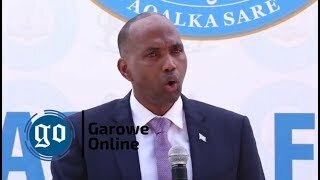 Continuing, Gorod ruled out the need for consultation with top Somali government leaders over the permission for the arrival of the UAE cash since it has been coming for the army in the past regularly. Meanwhile, Gorod has declined to support the seizure of the money. Somali army commander said he has not campaigned the government's decision to suspend the UAE's financial support to the country's forces, saying his main responsibility was to give orders to the soldiers. The UAE's Ministry of Foreign Affairs has strongly condemned Somali authorities for seizing an Emirati civilian aircraft carrying cash allocated to support the Somali army at Mogadishu airport. In a statement, the ministry said the funds were sent to pay the salaries of Somali army as per a memorandum of understanding (MoU) on military cooperation, signed between the two countries in November 2014. UAE said it provided all forms of political, economic military and humanitarian support to Somalia in the darkest of its circumstances in order to consolidate the security and stability in the country. The UAE has trained hundreds of soldiers for Somali Federal government since 2014 as part of an effort to help the Horn of Africa country rebuild its army and boost the mission to defeat Al-Shabab. 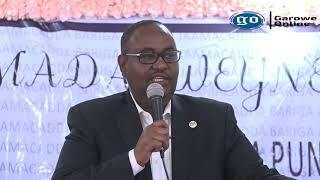 This week, Somalia's Minister of Defense Mohamed Mursal Abdirahman, told the local media that the government will fully take over the UAE-trained soldiers and merged them into the SNA divisions. "From April 12 which marks the 58th anniversary of its creation of the army, the government will fully take over the forces trained by the UAE and will be integrated into the SNA units," said Abdirahman. 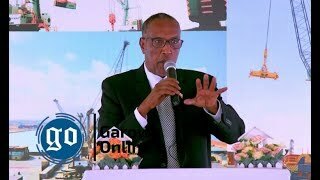 The Minister, however, did not officially announce that the Federal Government of Somalia has decided to the end UAE's role in its military affairs, but thanked Abu Dhabi for its valuable support. Sources at Villa Somalia, the Presidential Palace confirmed to GO that the government has not taken any decision disbanding the military cooperation with the United Arab Emirates programme to train the troops. This comes as the relations between Somalia and the UAE have been frosty since June last year after Mogadishu took a neutral stance on the ongoing Gulf diplomatic crisis. Several International News Agencies, including the Doha-based Al Jazeera English, are accused of extremely exaggerating the current dispute between the two fraternal countries, which share historical and strategic relations.